Starbucks will open a new location 30-18 Astoria Blvd. ASTORIA — The neighborhood is getting a new Starbucks. The Seattle-based coffee chain is set to open another location in the neighborhood this summer, near the Astoria Boulevard subway station, a rep for the coffee giant said. 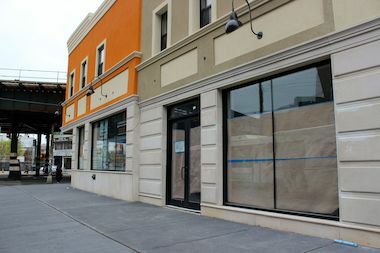 The now-vacant space at 30-18 Astoria Blvd., near 31st Street, is in a row of commercial storefronts that were recently renovated. The strip currently houses a wine and spirits store called Domenick's, which moved from another location further down Astoria Boulevard. The new branch will join several other Starbucks locations already in Astoria. The coffee brand has stores near the Ditmars Boulevard and Broadway N/Q stations, at 31-44 Steinway St. and another on 35th Avenue in the Kaufman Astoria Studios campus.